No. 1: Joseph Estrada was a virgin when he married Luisa Ejercito. No. 2: Manny Villar was so poor, his parents were only able to have him circumsized when he was already 16. No. 4: On a scale of Lito Lapid to Miriam Defensor-Santiago, the average Senate IQ is Tito Sotto. No. 5: Serafin Cuevas helped craft the Code of Hammurabi. No. 6: Niel Tupas hated math in grade school. He’s poor in counting. No. 7: The Imelda Marcos we see in Congress today is not the real Imelda Marcos. The former First Lady died in New York in 1999 at age 70. No. 8: Juan Ponce Enrile can recite pi to 500 digits. No. 10: By the time a congressman completes his first term, his net worth has increased by 85 percent. No. 11: Loren Legarda’s first ‘crush’ was her 25-year-old neighbor. She was only 10 then. No. 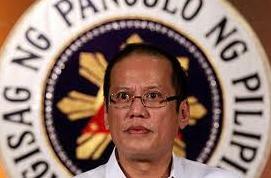 12: President Aquino has nocturnal enuresis. No. 13: Until 2010, Mar Roxas didn’t know how to ride a bicycle. No. 14: Panfilo Lacson sleeps with a gun under his pillow. No. 15: Grace Lee is allergic to second-hand smoke. No. 16: Toby Tiangco finished first runner-up in the ‘Mr. Xavier School’ pageant in 1985. The title was won by sophomore student Jose ‘JV’ Ejercito. No. 17: Lawyer Karen Jimeno was born male. No. 18: Ricky Carandang has a secret account on Twitter. No.19: A recent study revealed 10 out of 5 opinion columnists of the Philippine Daily Inquirer believed Chief Justice Renato Corona would be convicted. No. 20: Jejomar Binay switches to 24Oras whenever Korina Sanchez is reading the news on TV Patrol. No. 21: Bong Revilla converted to Islam in 2002. No. 22: Next to Revilla, Edgardo Angara is the most sexually active member of the Senate. No. 23: Gloria Macapagal-Arroyo is taller in the afternoon. No. 24: Lawyer Ferdie Topacio worked as a standup comic to finance his post-grad studies. No. 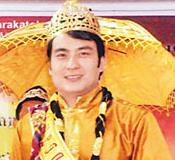 25: Under ‘Assets,’ Ronald Llamas declared in his SALN some 1,750 DVDs, VCDs, and CDs. No. 26: DFA Secretary Albert Del Rosario, the richest cabinet member has 85 dollar acounts. No. 27: Franklin Drilon has tried at least three diet programs in the last three years: Atkins, Cohen, and South Beach. No. 28: A classified report showed 8 in 10 Customs officials/employees have accepted bribes and other gifts from smugglers. No. 29: Mommy Dionisia noticed Manny Pacquiao’s homosexual tendencies in high school. She forced him to try boxing. No. 30: Since DLSU joined the UAAP in 1986, DepEd’s Bro. Armin Luistro has never missed a single La Salle Archers game. No. 31: Feeling insulted, Butch Abad rejected an endorsement offer from Svenson. No. 32: Lito Lapid is undergoing therapy for epistemophobia. No. 33: The Black and White Movement is the most dominant political party in the country today; in close second, Akbayan. No. 34: Prospero Pichay eats all kinds of vegetables except for pechay. No. 35: ETC Channel has offered the Basa sisters a reality show. No. 36: The date of release of SWS and Pulse Asia surveys is subject to the approval of the Presidential Communications Group. No. 37: Paquito ‘Jojo’ Ochoa is Chief Justice Renato Corona’s ‘eyes & ears’ in Malacañang. No. 38: Jules Ledesma can speak Latin, Greek, and Sanskrit all at the same time. He is also ambidextrous, a somnambulist and a contortionist. No. 39: Malacañang has postponed the release of the new 2,000-peso bill that promotes motherhood. The denomination features Kris Aquino, Josh, and Bimby..
No. 41: Kim Henares and Dinky Soliman are first cousins. No. 43: Jamby Madrigal was a national arm wrestling champion in grade school. No. 44: In no particular order, the three government officials with the highest Temple Run scores are Tesda’s Joel Villanueva, MMDA Chairman Francis Tolentino and Health Undersecretary Dr. Eric Tayag. No. 46: Viel Aquino-Dee was bullied by Kris Aquino when they were young. She has yet to recover from the trauma. No. 47: Conchita Carpio-Morales was a piranha in her past life. No. 48: On the average, Sharon Cuneta-Pangilinan tweets 850 times a day: 500 replies to her bashers, and 350 Biblical quotes. No. 49: Abigail Valte spends 45 minutes fixing her eyebrows daily. No. 50: Chiz Escudero has a twin sister named Villa. *Rumors, Facts and Humor was also the title of a defunct local showbiz talk show. Ano ang nais mong maging hatol ng impeachment court kay CJ Corona? Answer to Quotes Quiz: B.
Fav – no.4 – lito lapid could spar with pacquaio in the intellectual stakes. I just love Nos. 17 and 29 … bwahahahahahahahaha! You’re my daily dose of laughter. 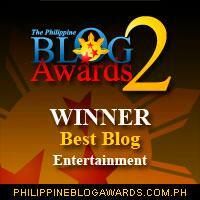 Thank you for keeping me young with your tweets and blog posts :-)) Winner ka talaga! No. 40: Chiz Escudero has a twin sister named Villa. lol. ph. antagal ko to bago nagets, wahhaha..
ph, ano ba ang punch line tungkol kay Atty Karen Jimeno, di ko na gets. di naman po kami nagtataka…… promise! may mga tao talagang medyo slow…… that’s a fact! Inabot ko ang “Rumors, Facts And Humor” nina Alfie Lorenzo, Chanda Romero at Janice Jurado. Siguro, Grade 1 ka pa lang siguro nang mga panahon na ‘yun ► Rated PG. Ang susunod na palabas ay Rated PG. Patnubay ng Magulang Kailangan. Diyan yung pinukpok ni Divina Valencia si Alfie Lorenzo ng mic. Tapos next episode lahat sila nakahelmet, hahaha! Eh db pinukpok din ni divina valencia si dr rey dela cruz sa eye to eye nun? “All of us have moments in our lives that test our courage. Reblogged this on WITHOUT WANG². fact or rumor – the tulfo bros teach call center english at plm. 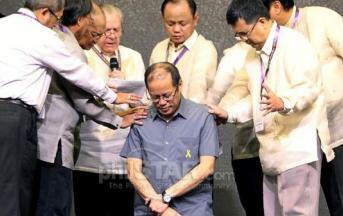 phot caption – tahan na noynoy. alam naman namin hindi ka bakla. “What is clear between us is that the (reported} third party was not the reason for the separation” – Jewel May Lobotan (Pimentel). Yeah, it was the UNREPORTED third party. An old man like him can recite Pi up to 500 digits? Amazing! Speaking of numbers, Cong. Tupas is really poor in Math. He did not even know the value of his mansion and the the total value of the favors he gets from the administration. Whew! Pathetic! RE: Totoo ito (based on baseless facts). Malupit na piranha siya before naging human being. Enrile is amazing! Imagine he can recite pi to 500 digits? Very interesting topic. photo caption: not all heads are perfect, some have hairs on them! Hahaha, panalo yung #48! Negastar nga ngayon si Sharon. Naabutan ko yung Rumors, Facts & Humor. Diyan yung pinukpok ni Divina Valencia si Alfie Lorenzo ng mic. Tapos next episode lahat sila nakahelmet, hahaha! the best yung #48 hahahahaha!!! haha! lahat talaga nakakatuwa. yung kay tita shawie, for the win! minsan kasi ang bait ng mga tweets nya minsan naman ang maldita. “What’s for Lunch?” PNoy asked the prayer leaders right after opening his eyes. So he fell asleep, SO WHAT?